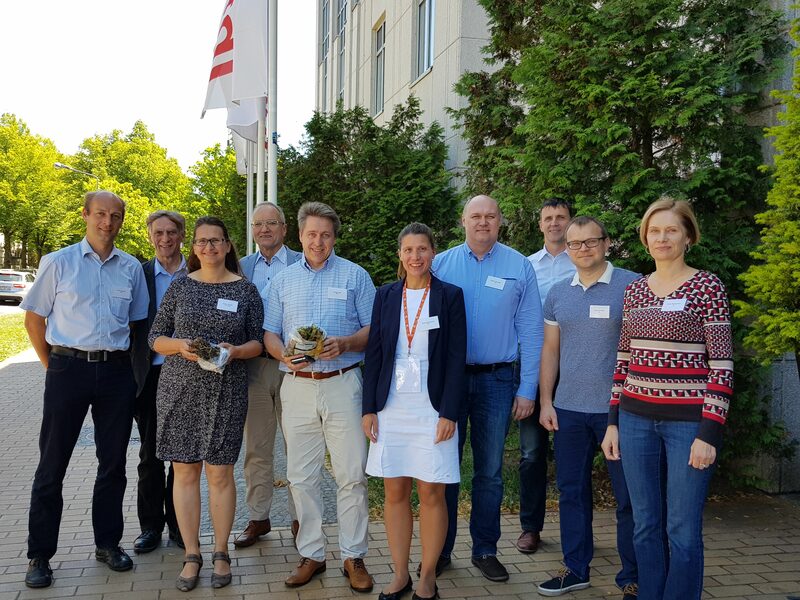 On the 6th of July 2018 the COASTAL Biogas kick-off took place at InterCity hotel in Rostock. From left: Frank Scholwin, (UROS), Tyge Kjaer, (RUC), Andrea Schüch, (UROS), Jan Hupka, (GUT), Jörgen Held, (BEIC), Wibke Baumgarten, (FNR), Robert Aranowski, (GUT), Alexander Schwock, (German NCP), Nerijus Striugas and Diana Sarauskiene (LEI). The project officer, Marta Niciejewska, from the Joint Secretariat in Gdansk presented useful and valuable insights how to conduct a project within the Interreg South Baltic Programme. The meeting was coordinated by Wibke Baumgarten (FNR), the lead partner.